Save money on your RV with a Montana LLC? 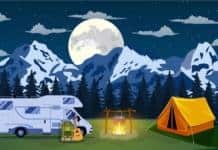 According to stories published by rvbusiness.com, attendees at the recent Family Motor Coach Association rally in Georgia were greeted by representatives of a Montana firm that promised significant savings on taxes and registrations when buying an RV. You know the catch, simply use a Montana attorney to set up a Limited Liability Corporation to “own” your new rig, and you won’t have to pay state sales tax, and you can take advantage of low RV registration rates in the Big Sky State, regardless of what you call your own state of residence. How much can you save? Interestingly, Damaske cited Indiana as a specific example, indicating that a Hoosier-stater would save seven percent immediately on state sales tax; more money could be saved with lower insurance rates and financing. But we now ask: How much can it really cost you? OK, Indiana residents should squirm if they think they can sneak around state revenue and licensing agents. But hang on, other states take a dim view of what they consider unlawful tax evasion. Are you a resident of California, Colorado, Iowa, Massachusetts, Minnesota, Washington, or Wyoming? Those states are on the list of those that prohibit such “backdoor” legal moves. 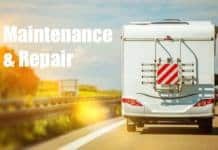 Please don’t send us emails that tell us, “I’ve owned my motorhome through a Montana LLC for years and never had a bit of trouble.” Yes, it’s true, there are plenty of folks who’ve made the same argument before when we’ve penned on this issue. You’ve managed to keep your skate wheels turning, but it may not always be that way. Here are a couple of thoughts from Steve Lehto, a practicing attorney with 23 years experience. Writing on jalopnik.com, Lehto raises a hypothetical that should raise concerns in even the most entrenched “save taxes by whatever means needed” advocate. And then, there’s another thing to consider. How many dollars saved on tax and registration payments will pay for that constant neck-flipping you may have to make when traveling in your RV? California Motor Vehicles has state troopers keep their eyes open for Montana-plated rigs either being towed, or towing, a vehicle with a different state’s plates. Other states have “report a tax evader” hotlines set up for just such scenarios. And while it may be legal in some states now, the visions of new tax-streams becoming available can quickly turn into realities on the books. In Washington, we were personally “turned in” by a state park official when we pulled a travel trailer in for an overnight. We’d just bought the trailer from a private party in Arizona, and were taking it to our then-home where we would be registering it. Within 24 hours of leaving the park, we got a phone call from the state DMV, demanding to know what we were up to. Yeah, Big Brother is watching – and having a bureau, agency or department breathe down your neck can really take a nice RV road trip and turn it into a stress session … even if you don’t get caught. People would be less likely to try to avoid the sales taxes on large ticket items if the taxes were more reasonable. South Dakota has a lower tax rate for such purchases vs regular sales tax. This makes sense. Charging 10 or 12 percent tax on a large purchase like that is asinine and ridiculous. Shame on the governments that do this in the first place. Hey, wait a minute. Who telling what facts about Romney? Did he register his yacht in Connecticut or the Cayman Islands? Hmmmm …. a rv mail service establishes my domicile in Florida as there is no state income tax …. my Montana LLC bought my rv as there is no sales tax ….. according to a progressive representative …. progressive insurance understands there is no garage address for full timers and have provided for this in their full timers rv insurance plan …. There are a number of states with outrageous taxes on the purchase and ownership of a RV. It is a deterrent to purchasing or licensing in that state. A friend sold his MH because the annual tax burden in his state was way too much for his usage. A one time tax is one thing, an annual tax based on the value determined by the state is another. Such tax is a deterrent to buying a new or newer RV. Evading taxes seems to be a great pastime for some folks. Are the savings worth it? I don’t know. I do know that for every dollar of unreported or paid tax increases the tax bill for the remaining population. This un-level playing field is all the incentive many folks need to report possible tax evasion. I rather enjoy the peace of mind that comes with paying my share. I appreciate the benefits I receive. The world needs more people like you, sir. Former Secretary of State John Kerry (MA) did the same thing and births his yacht off Connecticut to evade MA taxes, The rich taking care of the rich. The John Kerry, who, through his wifes` Heinz golden spoon has multi-million millions. That Kerry. The guy who preaches to us minions, that guy you mean. Don’t just pick Montana. Same is true with the other states. And does not apply for a Full Timer unless he is stupid enough to say Ca or Wa other the others are there resident. I cannot understand why anyone would live in California except for its beauty. That’s simply because you do not live here. You probably are listening to every unvalidated rumor you hear, and passing them on……..
That’s fine. Stay where you are. We live in San Diego, the best climate in the nation. Enjoy your heat, humidity, bugs, snow, slush, ice, etc. Notice to State’s who feel the need to tax its residents to death. Stop it! I was a California resident (born and raised) and have found it necessary and cheaper to move out of this “out of control “ tax and spend state. I remember paying a $1400 annual registration renewal fee in California for my Diesel Pusher. I moved to Tennessee and only had to pay $65 to register here. And California can’t understand why over 100,000 residents flee this state every year. If your one of the former, contact me about a bridge I own in Brooklyn, it’s for sale! Cheap too. I’ve always wondered about this stuff. If your RV is registered in Texas (like with Escapees) but you actually live in, say, Nevada or California, your driver’s license is from one of those states. If you get stopped for something and have to break out your DL, how do you explain the two different states? Not every state has a sales tax. Oregon does not and I think there is another state that doesn’t. You are forming a company, LLC, for the sole purpose of avoiding sales tax on a high dollar RV? If you look at it this way it does quite seem like something that I would do. I can’t insure that this is true but over the years I have read of other states coming after people who did this, IA, MA, ID, OH and all three west coast states to name the ones I remember. People have told me that they are legally avoiding taxes and it was alright to do this. It doesn’t pass the smell test. I’ve always found it interesting that large shipping corporations can license and register their vessels in foreign lands thereby bypassing US Maritime rules and taxes saving their parent corporations millions of dollars, many large US firms keep billions of dollars overseas to avoid paying US taxes and all of that is legal but let a guy/gal license his/her RV in Montana to save a few bucks and suddenly it’s open season on them. Former Presidential candidate Mitt Romney did just that with his private yacht. Registered in The Cayman Islands. There is no incentive to change anything as the people who benefit from this legal loophole are the ones who write our laws. Hey Bob, they do that because their ship is flagged outside the US. It’s how this works. Bob, That is because we, the little guy, do not have the resources to fight them. We are easy money for them. Well put “Jim”. We are the worker bees.